To meet the demands of our faculty, residents, students and other health care providers, the Biomedical Library has subscribed to UpToDate. To access UpToDate, use the link above, or the links from the resources section of our homepage or our databases page. 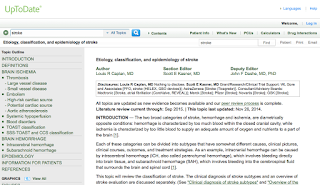 UpToDate is an evidence-based clinical decision support resource. 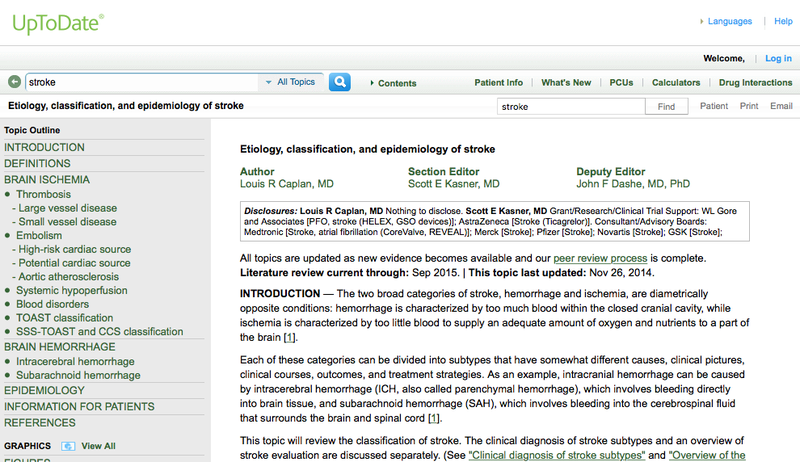 It covers over 10,500 topics in over 20 medical specialties and includes more than 28,000 graphics, more than 400,000 references and a drug database. To use the mobile app, first register for a personal account by using the "Register" link under the search bar on the UpToDate homepage or the login link on the mobile version of the UpToDate homepage. Then download the UpToDate app from the app store on your mobile device and sign in using your personal account. To register for a personal account you must be on the campus of and using the network of the university, one of the hospitals, SHAC, or MCI. Personal accounts are not available through the proxy login or over VMware. If you have any questions, please contact the Biomedical Library at medlib@southalabama.edu or 251-460-7044.